The Lusaka Water and Sewerage Company – LWSC -has confirmed that there was an instant contamination of water in some parts of the city barely a day after it down played concerns by consumers. LWSC Managing Director Jonathan Kampata confirmed at a media briefing Thursday evening that water had been contaminated and named some of the affected areas as Nyumba Yanga, NAPSA Complex and Malata areas of Lusaka just like the Watchdog had reported earlier. He said the contamination was confirmed following investigations carried out on collected water samples but claimed that samples collected on Thursday morning and afternoon all proved that the water was not contaminated but has advised residents in the affected areas to take precautionary measures by boiling water and emptying water tanks before refilling them. 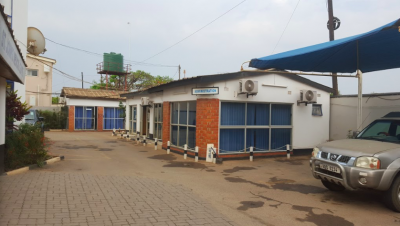 Meanwhile the Watchdog has established that the University of Zambia workers compound recorded cases of typhoid a fortnight ago and a number of cases were treated at Kalingalinga clinic. Sources who spoke on condition of anonymity confirmed that they treated several cases. ‘Blood samples were taken at UNZA clinic, Kalingalinga clinic and UTH to confirm and the victims were treated for typhoid,’ said a source at one of the health institutions. Some staff members at UNZA and their families use the toilets at East Park Mall each time their toilets are blocked.